Some of the certifications, emblems and labels we see on supermarket shelves are backed by science and standards, while others may be nothing more than a feel-good marketing campaign. Mixing these ever-complicating labels with sensational headlines and emotional advertising can make grocery shopping downright overwhelming. 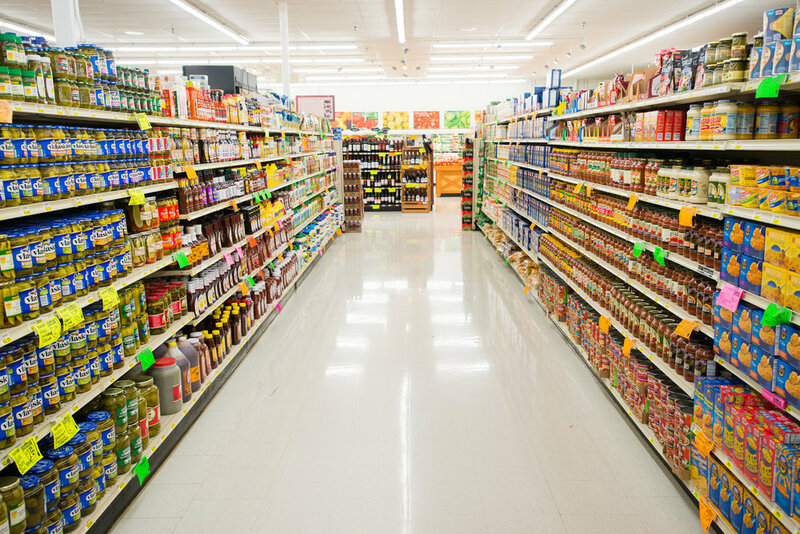 No matter what food choices you and your family ultimately make, it’s important you have the information you need to separate fact from fiction on food labels to feel more confident in the checkout line. To combat confusion on food labeling, Ruth MacDonald, Ph.D., professor and chair of the Department of Food Science and Human Nutrition at Iowa State University, spoke on a panel during the Iowa Ideas conference on Sept. 20 in Cedar Rapids. With a research focus in diet and cancer relationships, MacDonald is devoted to helping consumers better understand food and nutrition. Iowa Ideas Panel: Why do you take the time to help consumers understand food labels? MacDonald: I’m concerned about being fearful of our food and food supply – the idea that processed foods are bad or genetically modified organisms (GMOs) are something to avoid or local and organic foods are healthier and safer – without any scientific evidence. As an educator, I want to help people work through labeling confusion based on science, not what they see on social media or hear on TV. Iowa Ideas Panel: What’s the difference between the required elements on food packaging and callouts on the front of the package? MacDonald: The Federal Drug Administration (FDA) requires five elements on a food package label. This includes the statement of identity, product’s net weight, manufacturer’s address, nutrition facts and ingredient list. In 1994, the Nutrition Education and Labeling Act set a standard for the nutrition facts label, which includes serving size, nutrients, vitamins and minerals. These elements follow strict guidelines and are highly regulated by the FDA. In the 1990s, there was a process allowing companies to petition the FDA to make health claims on packaging. These continue to be allowed and monitored for compliance. But it got to a point where the FDA couldn’t keep up with all these requests and stopped approving new claims. It’s expected that food manufacturers don’t mislead consumers with labels, and the FDA will audit or review if there’s a customer complaint. Certain terms, such as ‘natural’ or ‘healthy’ are used on many packages but have no official FDA definition. This situation has created a mess of consumer messages, which are inconsistent and can be somewhat misleading to the average consumer. For example, many companies are placing non-GMO labels on products that aren’t one of the 10 genetically modified crops approved for food. These products are essentially the same as the product next to it on the shelf, but may cost significantly more money. Some go so far as to label foods that have no genes, like water or salt. Iowa Ideas Panel: How can we use labels to make better food choices? MacDonald: Unfortunately, as humans, we don’t have a dial or gauge that tells us when we’ve had enough of one nutrient each day. The information on the nutrition facts label is important to help you track your nutrient intake and understand what you may need to balance out your diet. Tracking your nutrient intake is a real commitment – it’s not something a lot of people do. I worry that people want the easy button and confuse products with “non-” or “free from” or “organic” labels as being healthy or providing the nutrients they need without ever looking at the nutrition facts label. A product with one of these “positive” health claims may not be the best nutritional value. Iowa Ideas Panel: What does the ‘nitrate-free’ label on deli meats mean? MacDonald: It seems everyone is afraid of nitrates right now, but we’ve been adding nitrates to processed meats for at least 50 years. It’s used in the process of ‘curing,’ and nitrates make red meats stay red and prohibit the growth of Clostridium botulinum, a dangerous bacteria. I recently picked up a package of deli meat at the supermarket with a “nitrate-free” label. If you look in the fine print, it notes the product has celery juice, which is a natural source of nitrates. What people don’t realize is that the celery juice adds the same chemical nitrate as would be used in a ‘cured’ meat product. There is no difference in the amount of nitrate between these products. It’s important to understand why something was added in the first place and put it into perspective with the rest of the foods you eat. Iowa Ideas Panel: How do you know if something is organic? MacDonald: There’s an official organic certified seal on the package. This means the manufacturer and producer are certified by the United States Department of Agriculture (USDA) as an organic producer. If you only see “organic” in the name or on an unofficial label, it’s not officially audited and registered with the USDA, so it may not meet the USDA standard for organic. Iowa Ideas: What resources do you recommend for staying up to speed with understanding the science behind food labels? MacDonald: There’s a lot of burden on the consumer to do their research. Information from The Center for Food Integrity and Best Food Facts provide good resources. Iowa State University Extension and Outreach also has human science specialists you can reach out to directly, and you can even request they speak to a group about a nutrition and wellness topic.